A fast runner with strong night vision. Not good news if you’re a slug. 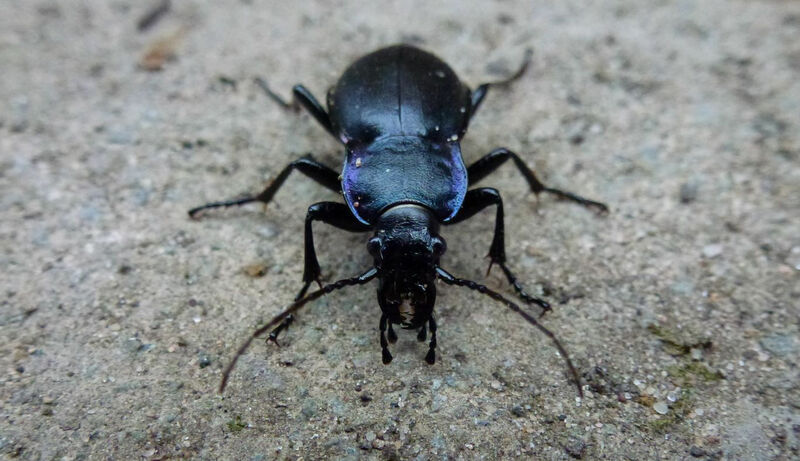 At this time of year as you’re weeding your borders, you may be lucky enough to spot a violet ground beetle. They’re fast runners but at up to 35mm long they are also one of Britain’s largest insects so they are hard to miss. If you’re a gardener then the good news is that the violet ground beetle likes to eat slugs, snails, and grubs such as leatherjackets. They also eat any other prey they can find that is around their own size including worms (not such good news for the gardener) and may also be found feeding on carrion. During the day they rest in cover emerging at night when their impressive low light vision combined with their fast running speed allows them to catch their prey. Violet ground beetle larvae live underground for 10 months and are also carnivorous. In February they emerge as flightless adults and live for just 9 months. 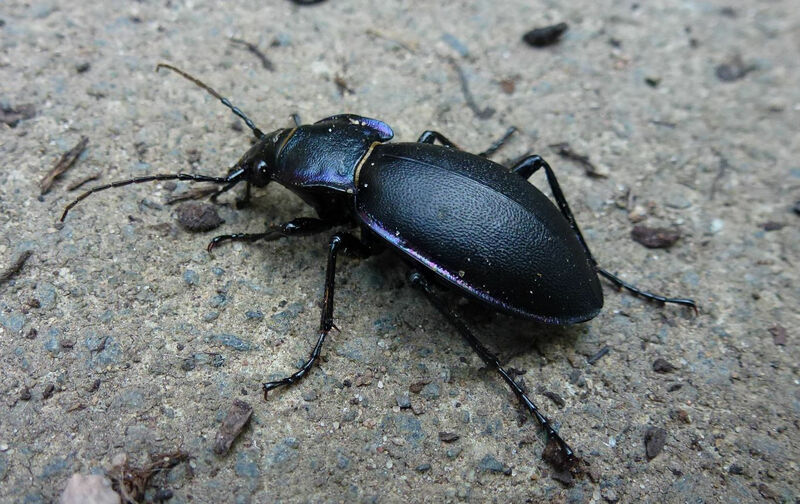 A violet ground beetle disturbed during daylight hours. As striking as they are if you do see one don’t be tempted to pick it up as they are able to deliver a surprisingly powerful bite for their size. You have been warned.